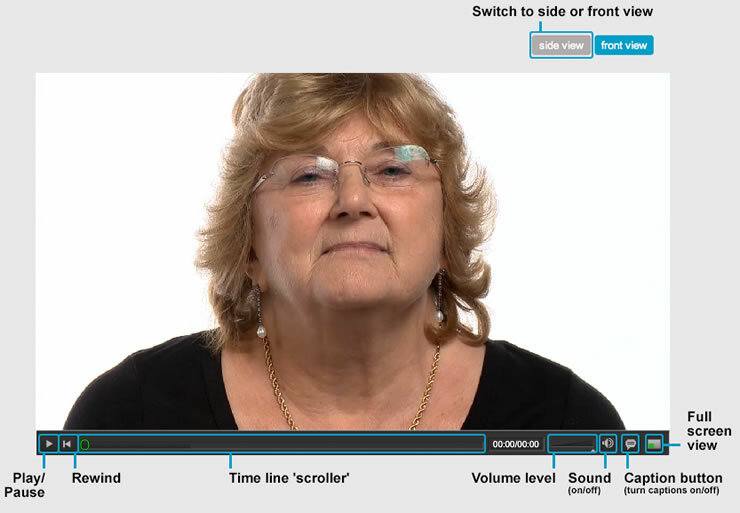 Video Guide | Lipreading Practice - learn lipreading using video clips and written exercises. Free online lipreading resource for the hard of hearing. Adobe Flash Player is software for viewing multimedia including videos and animations on web browsers or mobile applications. It is claimed by Adobe that "Flash Player is installed on 98% percent of the world's desktop computers.". Flash Player is continuously being updated to ensure compatibility with various products and applications being developed using the Adobe Flash platform. To use this web site and it's video content you will require Flash Player version 11.2 or later. If you do not have this version or wish to read more about Flash Player please visit adobe.com. If your system doesn't have the required version you will see the following image: instead of the expected video. If this happens simply click the image and you will be taken to adobe.com to download the required Flash Player in order to view the video content. Once installed you will be able to view the videos and will not have to go through the Flash Player set up on this site again.